More than fifty years ago, John Coltrane drew the twelve musical notes in a circle and connected them by straight lines, forming a five-pointed star. Inspired by Einstein, Coltrane put physics and geometry at the core of his music. Physicist and jazz musician Stephon Alexander follows suit, using jazz to answer physics' most vexing questions about the past and future of the universe. Following the great minds that first drew the links between music and physics-a list including Pythagoras, Kepler, Newton, Einstein, and Rakim-The Jazz of Physics reveals that the ancient poetic idea of the Music of the Spheres," taken seriously, clarifies confounding issues in physics. 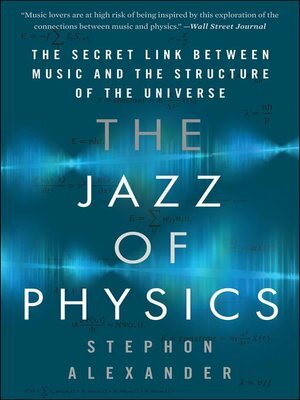 The Jazz of Physics will fascinate and inspire anyone interested in the mysteries of our universe, music, and life itself.